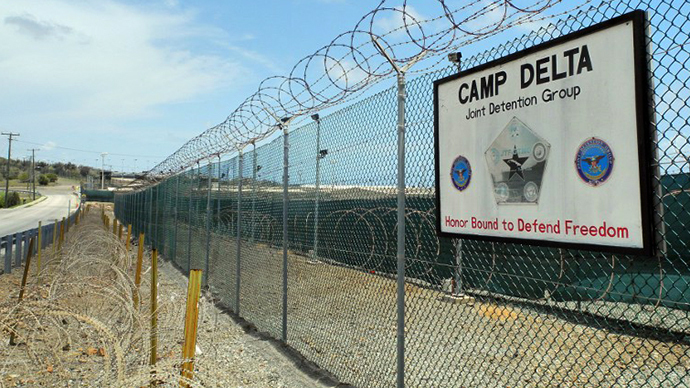 Saturday marks twelve years since the first detainees arrived at Guantanamo Bay prison on January 11, 2002. On the anniversary US human rights activists marched to the White House demanding the facility’s closure. This time, the annual Day of Action to shut Guantanamo down comes as quite a number of prisoners, cleared for release, have eventually seen their transfers from the facility carried out. Human rights activists still want to see the process sped up. “We have seen 11 prisoners released between August and December last year, compared to just 5 men in the whole of the previous 3 years,” Andy Worthington, investigative journalist and Guantanamo expert told RT. “So it’s movement, but it would be unwise to think that we’re nearly there. There are 155 men still in Guantanamo”. 77 of those men have been cleared for release. In the most recent case, a Yemeni, who has been at Guantanamo since the very first year of its existence, was earlier this week approved for transfer by a Periodic Review Board (PRB), a panel consisting of senior defense and intelligence officials, which is supposed to eventually hold hearings on all the indefinitely detained inmates. More than 100 people gathered in Washington to march to the White House, demanding that the Obama administration facilitate the cleared prisoners’ release, local media reported. 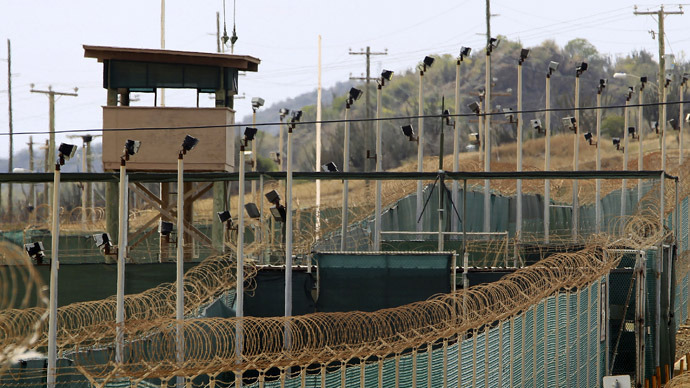 They believe the president can no longer justify the existence of Guantanamo by having his hands tied by Congress, as a recently signed defense bill has eased up the process for transferring prisoners from the detention center. 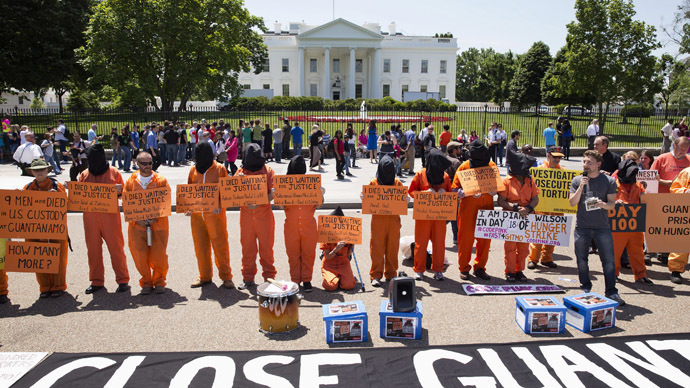 More than a dozen men dressed up in orange jump suits and had black bags over their heads to resemble Guantanamo’s prison uniforms. “President Obama has the power to close Guantanamo, and the new National Defense Authorization Act (2014 NDAA) just approved by Congress makes it even easier for him to do so,” a leaflet calling for people to take part in the anti-Guantanamo march reads. The Guantanamo anniversary has not passed unnoticed outside the US, as the date prompted fresh criticism from the Organization for Security and Co-operation in Europe (OSCE). “The detainees should either be prosecuted promptly, in accordance with international fair trial standards, or released,” Lenarčič added. 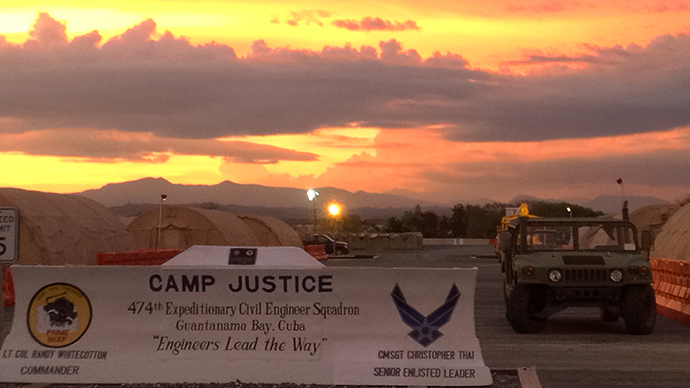 Out of 779 detainees held at Guantanamo in the past 12 years, only 7 have actually been convicted and sentenced. Frustration with the indefinite detention was at the core of last year’s massive and months-long hunger strike, which was initially sparked by accusations that guards had interfered with the inmates’ personal belongings; this included the mishandling of Korans. 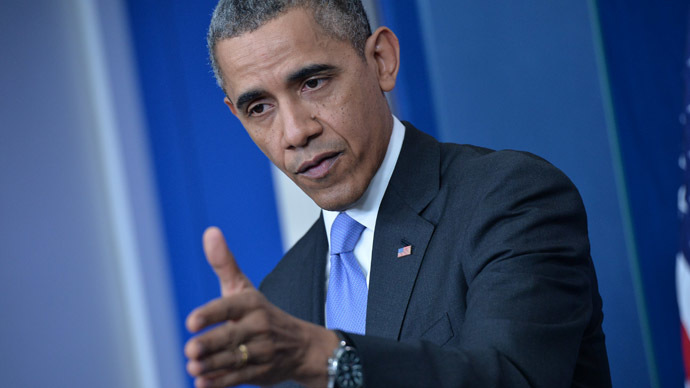 The hunger strike is now believed to be a major contributing factor to the Obama administration’s re-focus on the facility, which led to held-up transfers being resumed. Some of the transfers have, however, raised concerns, because former Gitmo inmates have been sent to countries where they feared they could face the risk of ill-treatment or persecution. One such case was described by Shayana Kadidal, an attorney for the Guantanamo Global Justice Initiative at the Center for Constitutional Rights. “A guy who was our client, Djamel Ameziane… he’d spent his whole life basically in Europe, and in Canada, and there is really no reason why a college educated guy, who was fluent in German, English and French, should be sent home to Algeria, and probably trapped there, unable to emigrate, because of the stigma of Guantanamo,” Kadidal told RT. Besides there have been media claims that for some of the detainees their freedom might have reportedly come at the price of being recruited as double agents by the CIA. Those who remain at the facility complain of continued ill-treatment and humiliating searches carried out by Guantanamo personnel. “Instead of being a brave soldier, they have been reduced to the rank of 'Scrotum Searcher Third Class', and they are told to beat up a defenseless and shackled prisoner with the help of five of their tough buddies,” Shaker Aamer, the last British inmate at Guantanamo wrote in his December letter. Medea Benjamin, co-founder of the Code Pink anti-war group, says that indefinite detention amounts to psychological torture and cites another Aamer letter as an example.